© Amrith Krushnakumaar. All rights reserved. 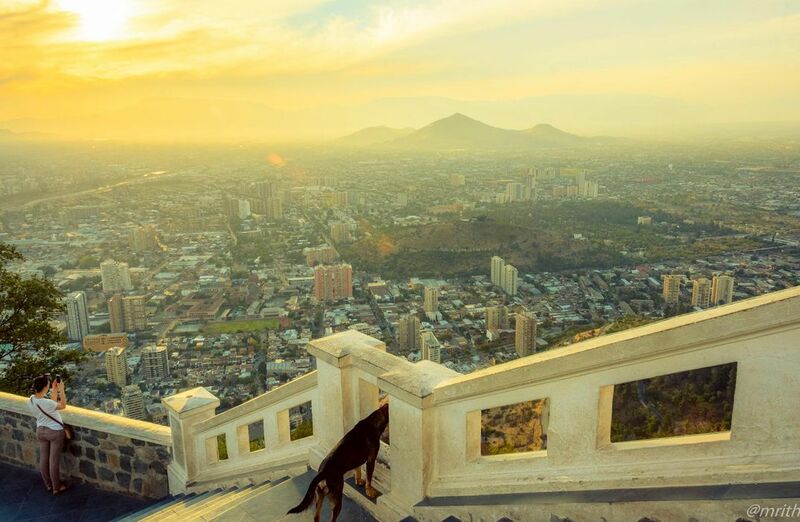 A sunset view from Cerro San Cristóbal in Santiago. The park is Santiago's largest green space and includes a funicular (cable car service), a botanical garden and a zoo. We enjoyed some sweeping views of Santiago and the Andes Mountains. A truly beautiful city!